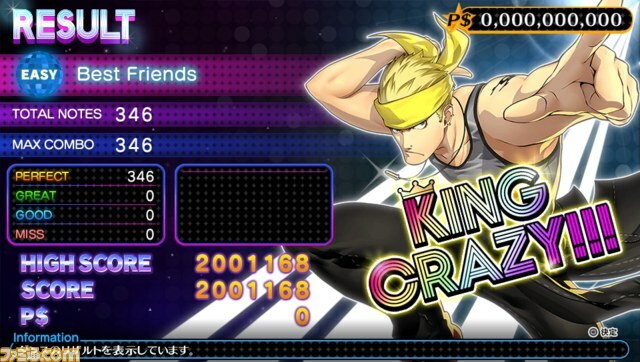 When I started playing Persona 4: Dancing All Night, again, a couple weeks ago, I was horrified by how rusty I was. 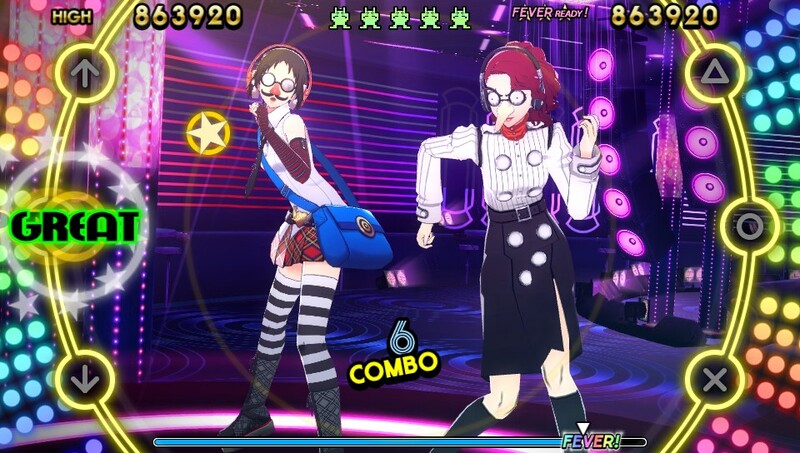 Persona 4 is a rhythm game, much like Dance, Dance Revolution or Guitar Hero, only played with traditional button inputs. It was strange to return to a game I remembered being good at and sucking so badly at it. On the results screen, I could see my original high score and my own current score, which was several hundred-thousand points below my best. It was maddening so, I went into perfectionist mode. If I missed a note that I thought I could have gotten, if not for a stupid mistake, I’d restart the song. The result was that I didn’t improve no matter how much I played. I could play the first few seconds of each song flawlessly but, past the point where the rhythm got more difficult to follow, as soon as I messed up, I’d restart. The obvious effect of which was that there were whole parts of the song I never practiced. My lack of practice with the added issue of never having seen the pattern I was supposed to follow made the issue worse and self-perpetuating. It was the definition of perfectionism making a task, otherwise possible, impossible. This happens to me a lot when I’m gaming. I make a stupid mistake and I’m so horrified that I throw my progress away to start over. In Fire Emblem, since I first started playing in 2004, whenever one of my units dies, I feel the overwhelming urge to restart the match because of my wretched, unnecessary error. The result is, those games take me way longer to beat then I should, and I constantly run the risk of getting so burnt out on the gameplay that, I never end up finishing it. So, I’ve known about this tendency in myself for a very long time but, I never really thought to change it. That is until, I asked myself, “why can’t I get better at these damn songs?” And I realized, it’s because I never let myself have a bad round. So, I did just that, I let myself play all the way through the song I had trouble with, knowing I was going to end up not doing well and though, maybe it’s obvious, almost immediately noticed myself making greater strides, learning more and finally getting to the level of play I expected of myself. For many years, when people have asked me if I’m good at video games, my knee-jerk reaction is to say no. Or in these situations, I feel the need to qualify my proficiency, with the fact that I don’t stay on one game to really become good at it in a way which would appease the vast population of gatekeeping neckbeards which carefully guard the term, gamer. I’m, truly, a jack of all trades, master of none when it comes to games. But, in coming back to a 2-year-old rhythm game, for the first time, I decided that I wanted to become good at games. And I discovered that perfectionism has no place in gaming. Persistence does.